Colombo: Media rights activists urged the Sri Lankan government to withdraw proposed anti-terror legislation, calling it of draconian laws aimed at suppressing media freedom and democratic rights. The new counter-terrorism bill approved by the cabinet of ministers is now before the Parliament. C Dodawatta, the convener of the Free Media Movement, a local media rights group, said the act could be used to arrest and detain journalist for "distributing or making available any information to the public." He said the new government came into power in 2015 promising to repeal the existing anti-terror law, the Prevention of Terrorism Act that has been criticized by rights groups. Rights groups say that the successive governments have used the existing anti-terror laws for arresting and detaining journalists, media workers, artists, rights activists, ethnic minority Tamils and opposition politicians, said Dodawatta. "But so far the government has failed to repeal the Prevention of Terrorism Act (PTA) and instead now, they are bringing another legislation which seems worse than the PTA," he said. Dharmasiri Lankapeli, another media rights activist, said the legislation may result in arresting journalists for non-revelation of sources and "this would pose a great danger to media freedom and send more journalists to prison." Rights activist and lawyer Viranjana Herath said the minister in charge could prohibit a ban on entry, taking photographs, video recordings and making sketches and also, prohibit any organization from any event. "This will affect the freedom of assembly and association and could pose a serious threat to the freedom of expression and media-freedom," said Herath. 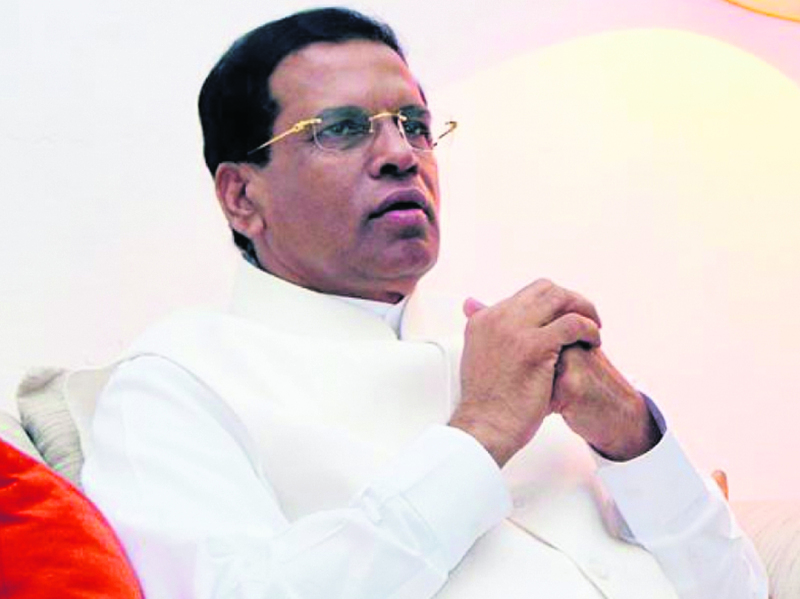 He said Lanka doesn't need new laws to combat terrorism, saying there are more than 20 existing laws to deal with offenses on terrorism. Bringing new laws could be described as an attempt to suppress voice of people, he said. There was no immediate comment from the government and the spokesmen for the government did not respond to queries. President Maithripala Sirisena and the new government came into power in 2015 promising to end a culture of impunity and ensure justice to slain journalists. Under Sirisena's predecessor, Mahinda Rajapaksa, dozens of journalists were killed, abducted and tortured. Some even fled the country.